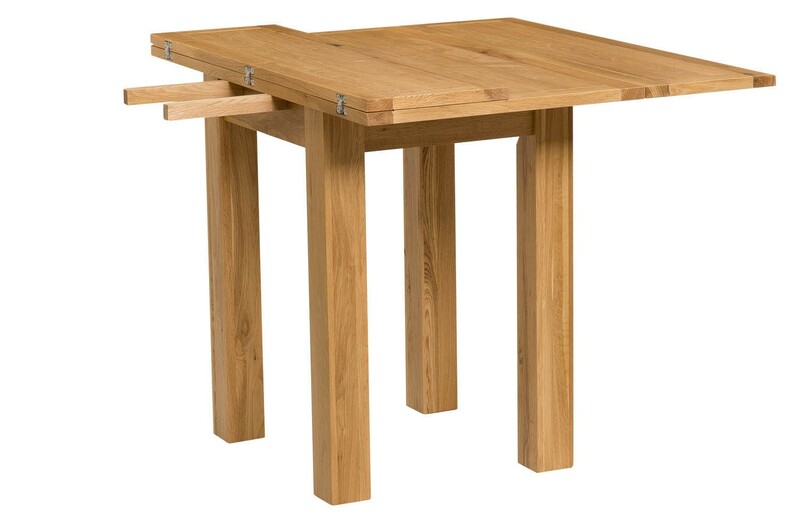 For the couple who likes to entertain friends, or the family with limited space, this folding table saves space and can be folded down to a two-seater table when not in use, or extended to seat up to four people comfortably. 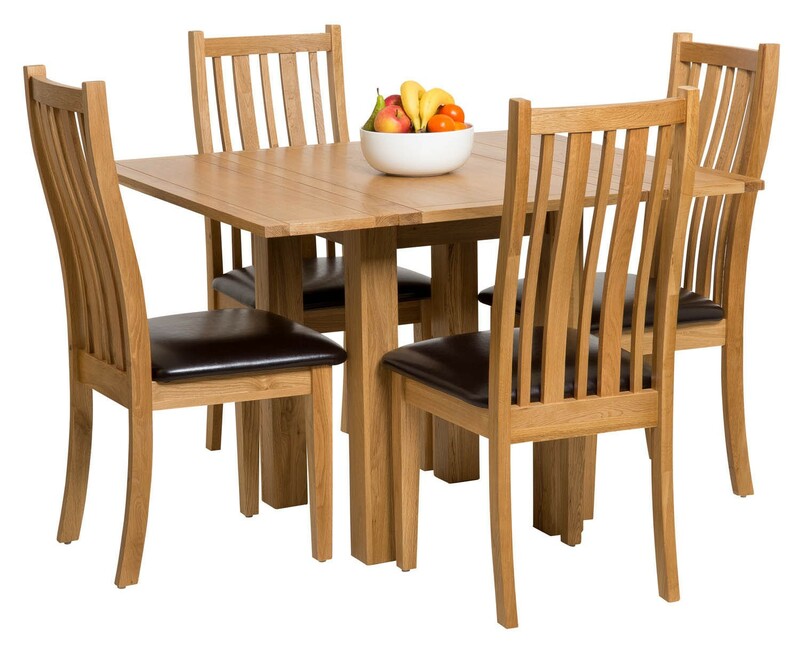 With a light oak finish and a hard-wearing lacquer to both enhance the wood’s natural colouring and protect the wood from the spills and mess of everyday life. 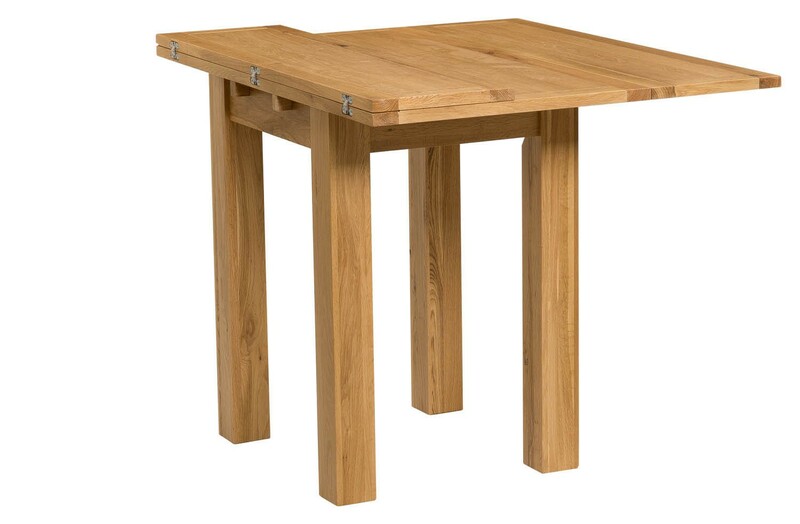 This table is ideal for an occasional room, such as a craft room, garage or shed, as the extending features gives the freedom to spread out materials, whilst the folded table can be used for holding tools or decoration whilst the room is not in use. 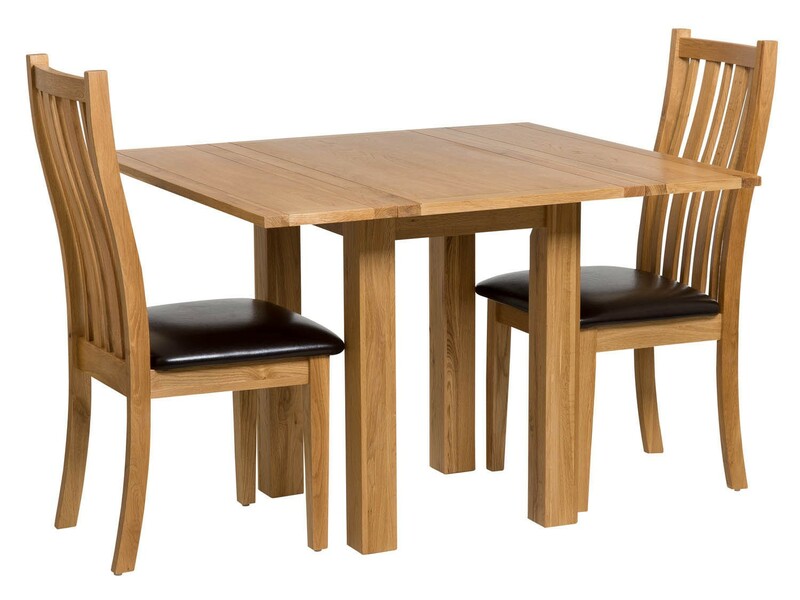 For dining rooms, this table can be used independently for smaller families or homes with limited space. 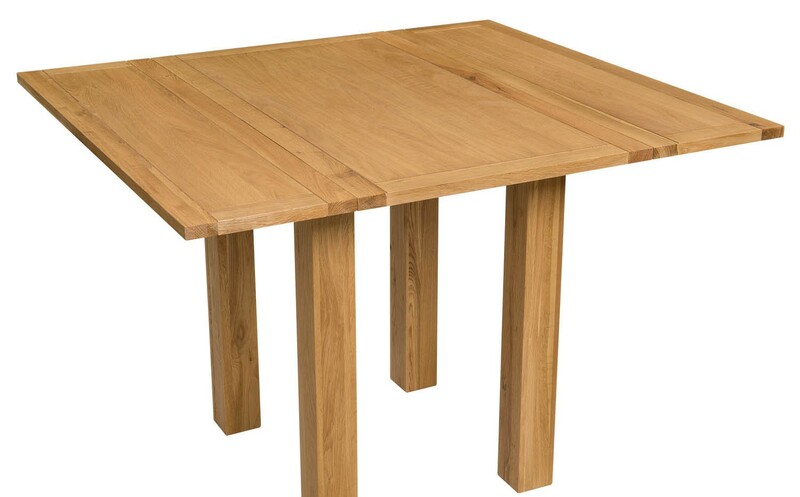 Whilst in larger homes, or for families who often find themselves with unexpected guests or who enjoy hosting large gatherings, this table can be stored neatly against a wall, and brought out to accommodate extra people and guests. 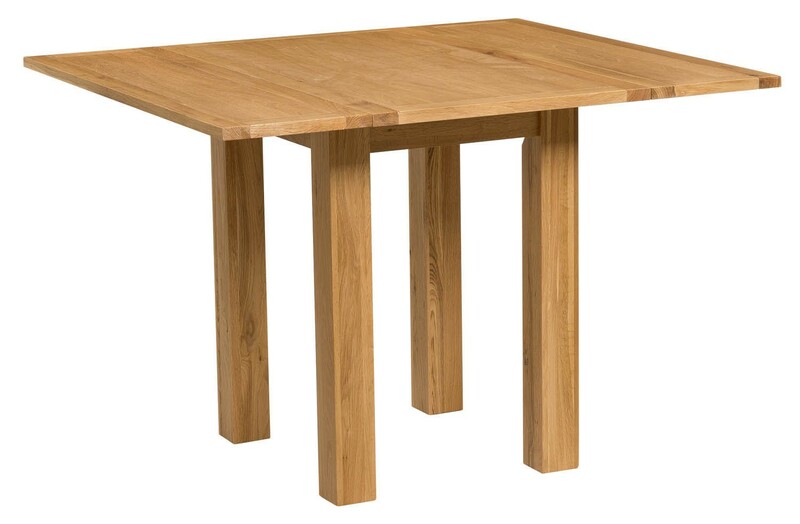 For the ideal style match, this table is designed to be paired with either our Light Oak Dining Chair, or it can be matched with any chair from our collections for a fresh style. 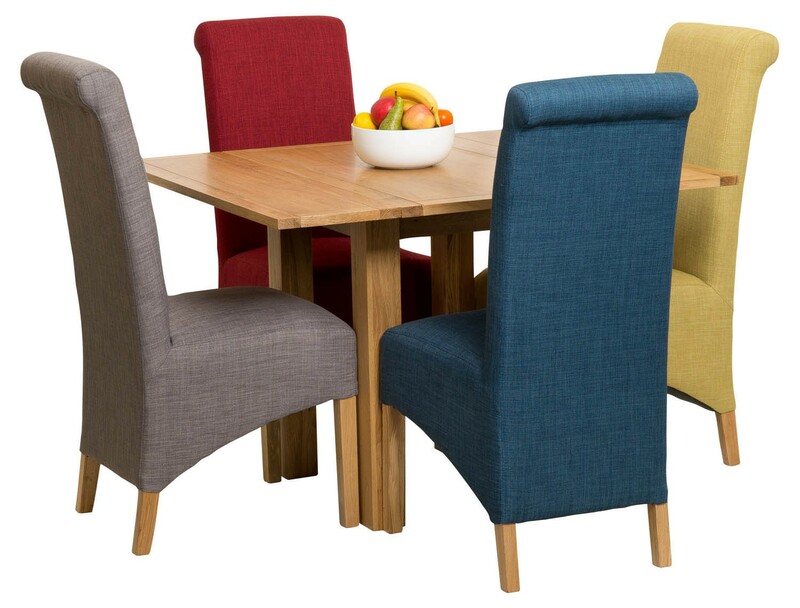 Perfect for small rooms and saving space when not in use. 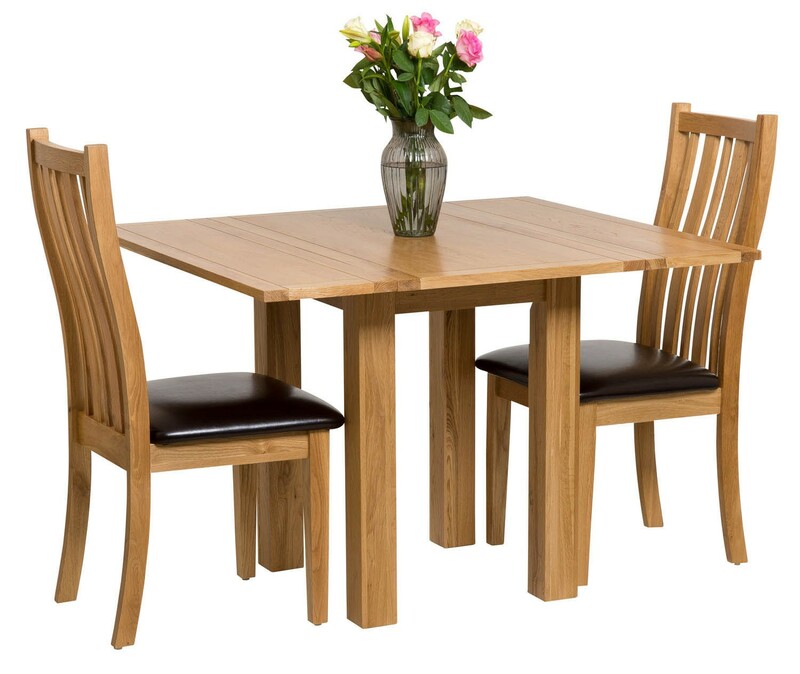 Lacquered finish for ease-of-cleaning and extra gloss. Ideal for use in craft room or garages as a work space. 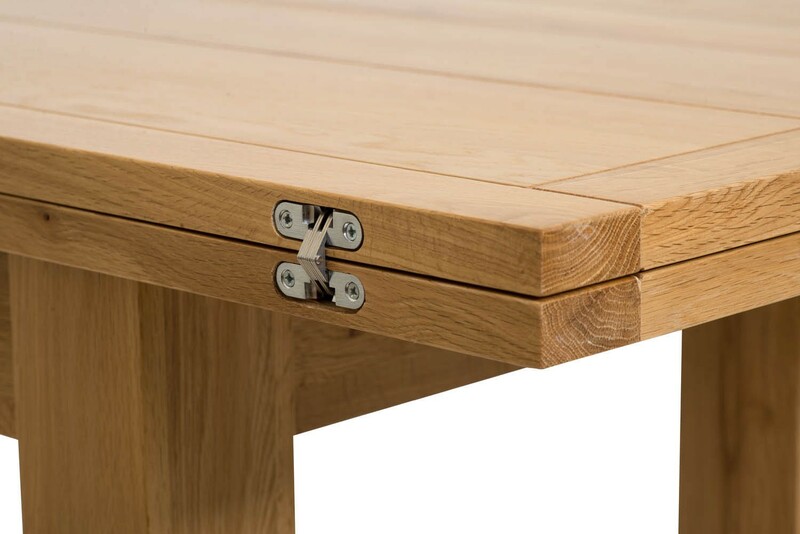 Light oak is a stylish shade, ideal for light, rustic or neutral colour schemes and decoration.